Quick, easy, and inexpensive! 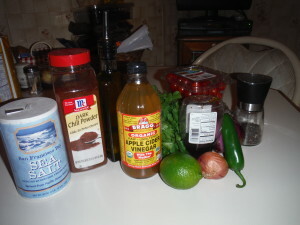 This Paleo dish is one of my favorites. 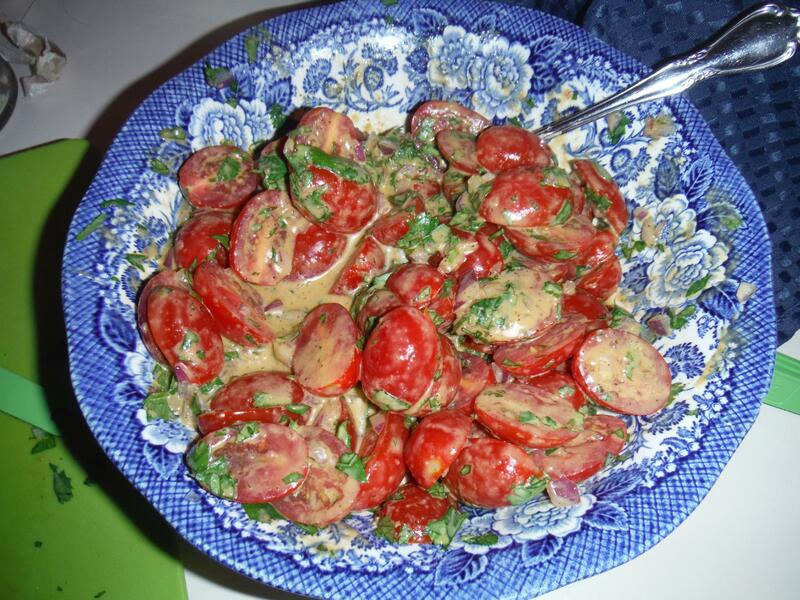 The sauce is so lovely that it would make a great salad dressing too! Let’s get to it. Gather your ingredients: cherry tomatoes, cilantro, red onion, shallot, jalapeno, garlic, lime, honey, apple cider vinegar, olive oil, chili powder, S&P. For the salad: Wash and half the cherry tomatoes. Add chopped red onion and cilantro. Toss. For the dressing, add minced shallot and garlic, chopped jalapeño, honey, olive oil, apple cider vinegar, and spices to a blender/food processor/Nutribullet. If you don’t prefer spicy, seed the jalapeño before chopping. Blend until combined. 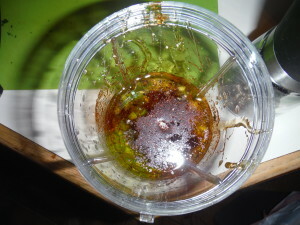 The dressing will become mustard-yellow once combined. 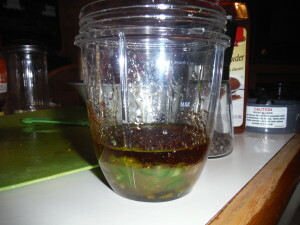 Pour over the prepared salad. Voila. 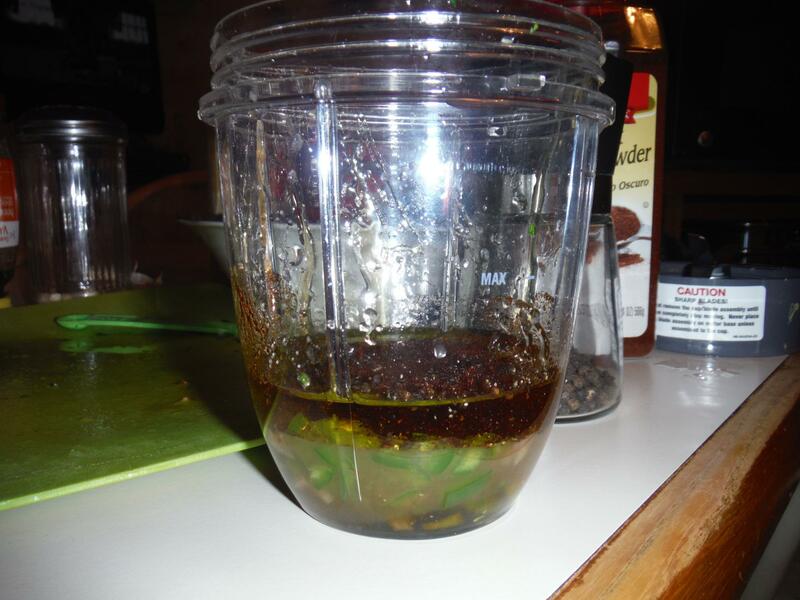 Quick, easy, inexpensive, AND delicious. What more could you want!? 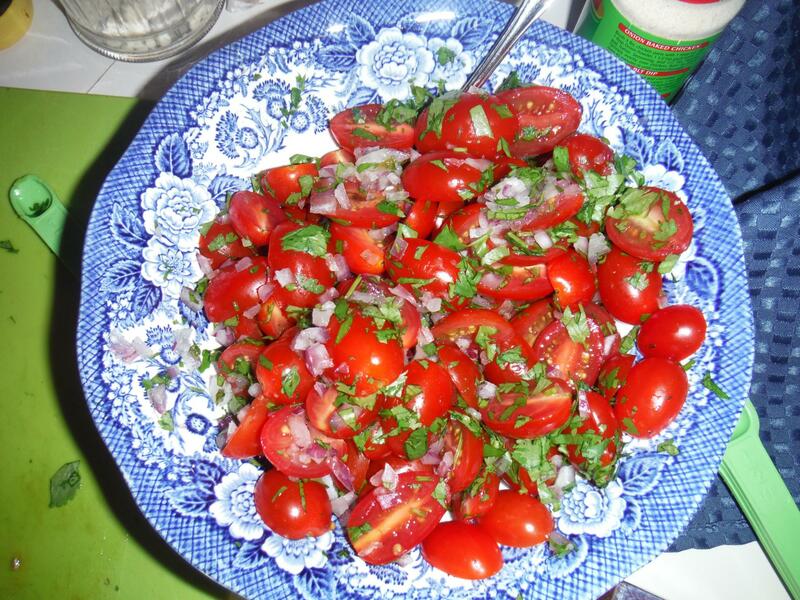 Half cherry tomatoes, dice red onion, and chop cilantro. Combine in a medium bowl. Mince shallots, garlic, and jalapeño . 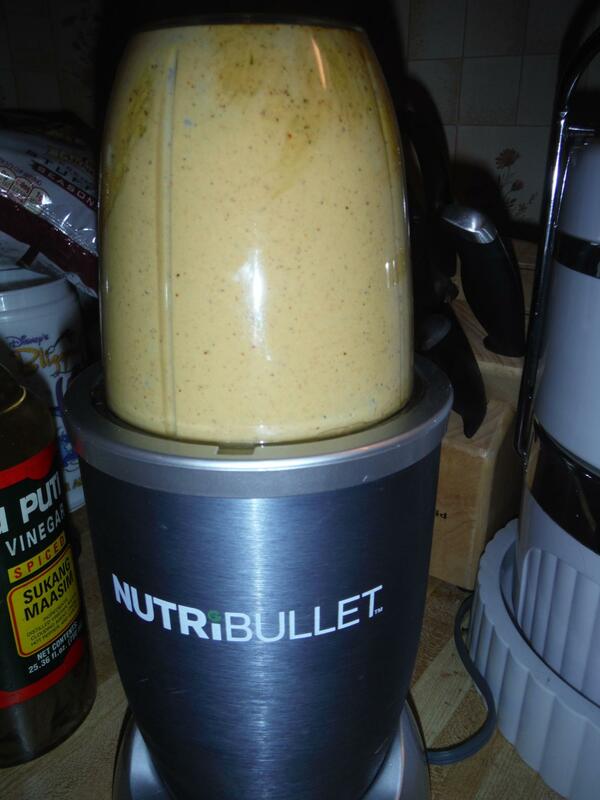 Combine with remainder of ingredients in a blender/food processor/Nutribullet and blend until smooth. 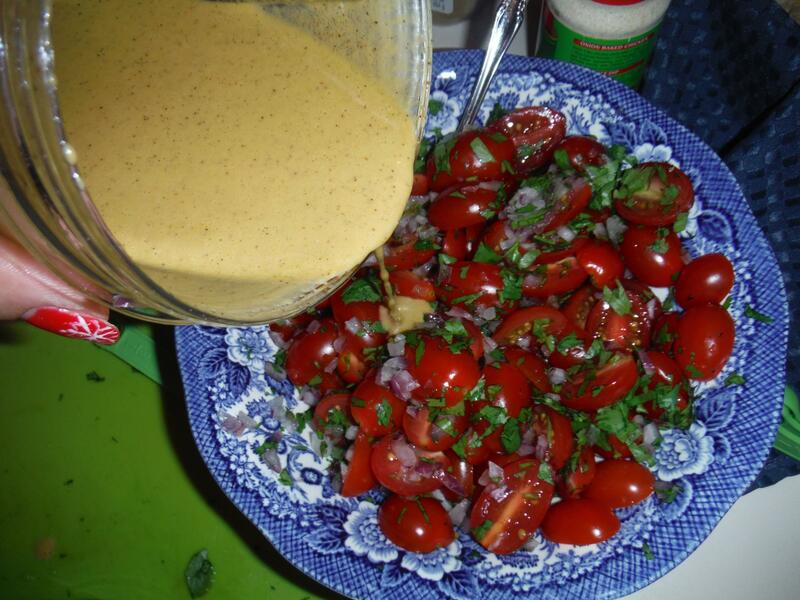 The dressing should be a mustard-yellow color.